President Donald Trump’s national security adviser said the U.S. could impose sanctions on its European allies if they continue to deal with Iran under the nuclear deal. National Security Adviser John Bolton also commented on “This Week” Sunday on the U.S.'s imminent move of its Israeli embassy, saying that relocating the embassy to Jerusalem will make peace "easier" because it recognizes the "reality" that Jerusalem is the capital of Israel. On Iran, Bolton responded to a question from ABC News' Chief Global Affairs Correspondent and "This Week" co-anchor Martha Raddatz about the reaction of European allies to Trump’s pulling the U.S. out of the nuclear agreement last week. Bolton noted that Trump said in announcing the U.S. exit from the Iran nuclear deal that “countries that continue to deal with Iran could face U.S. sanctions." 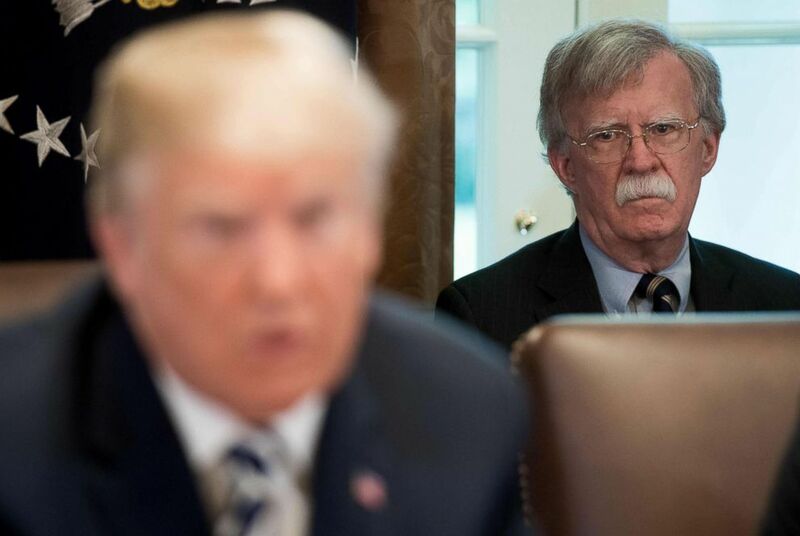 President Donald Trump speaks alongside National Security Adviser John Bolton (R) during a Cabinet Meeting in the White House, May 9, 2018. Bolton asserted that Iran has been increasingly exercising its military power in the Middle East "under cover" of its nuclear deal with the U.S. and its European allies. "Iran was shifting the balance of power in the Middle East until President Trump got out of this deal," Bolton said. 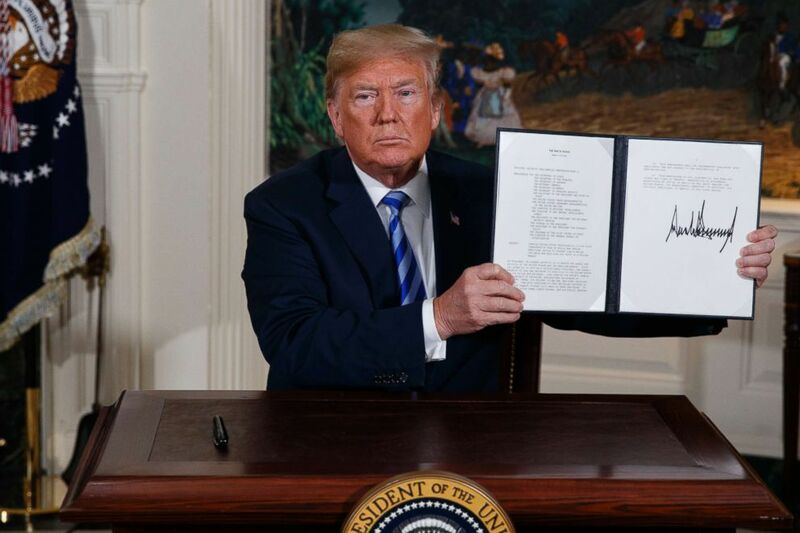 "If you look at the advances that Iran has made under cover of this agreement, its conventional military and terrorist advances, in Iraq, in Syria, in Lebanon, in Yemen, since 2015, Iran was really on the march." 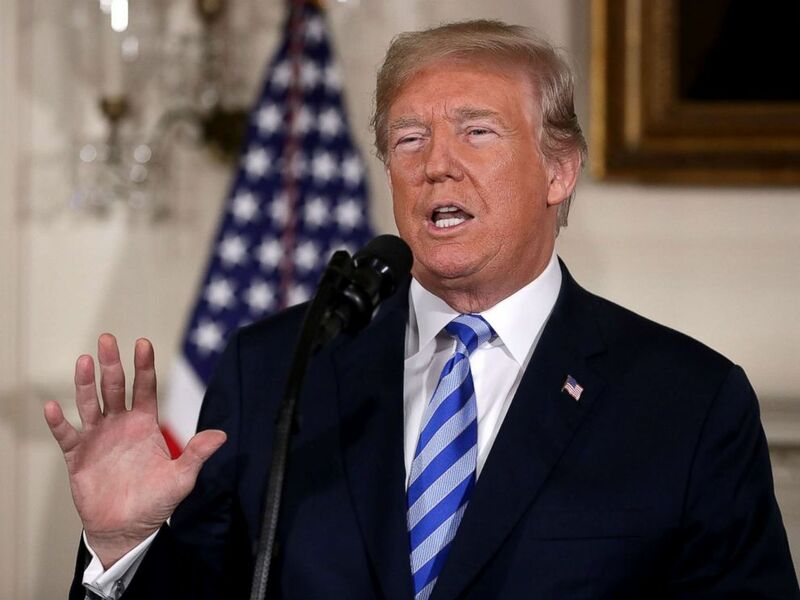 Trump on Tuesday announced he is taking the U.S out of the Iran nuclear deal and will reimpose economic sanctions on Iran at "the highest level" and will also target "any nation that helps Iran in its quest for nuclear weapons" with sanctions. Raddatz asked Bolton what parts of the agreement Iran was violating. "The allies say nothing. The inspectors say nothing," she said. "Well, the inspectors don't know everything," the national security adviser said. "You can't say honestly that Iran didn't violate the deal because we don't have adequate inspections." He added that a "fundamental flaw" of the deal struck under former President Barack Obama was that "we have never had an adequate declaration from Iran of their prior military activities in connection with the nuclear program ... That just violates every precept of sound arms control negotiation." "Nor have we had, since the implementation of the deal, adequate, really any, inspection of military facilities where the weaponization activities of the Iranians might be conducted," Bolton said. Bolton also addressed the planned opening on Monday of the U.S.'s new embassy in Jerusalem. "I think it will make it easier," Bolton said. "It's a recognition of reality. If you're not prepared to recognize that Jerusalem is the capital of Israel and that's where the American embassy should be, then you're operating on a completely different wavelength. I think recognizing reality always enhances the chances the for peace."